On October 16, 2013, fifteen leaders of Oregon's religious communities gathered at First United Methodist Church in Portland to voice their opposition to Oregon's death penalty and present their reasons for advocating its abolition. The convocation and dinner was sponsored by Oregonians for Alternatives to the Death Penalty (OADP) and Ecumenical Ministries of Oregon (EMO). 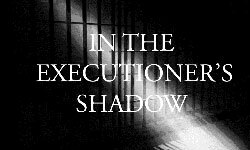 We hope you will carefully consider this powerful collection of moral and practical reasons for opposition to capital punishment.